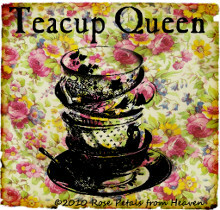 February begins and hearts turn to valentines, the color red and TEACUP TUESDAY!!! 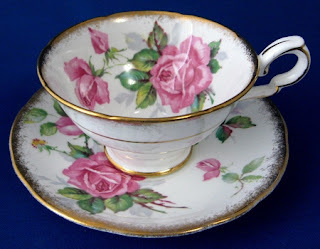 My teacup choice today for Teacup Tuesday with Terri & Martha and Rose Chintz Cottage, Teapot & Tea Things Tuesday and many others is a vintage Wedgwood England Moss Rose pattern teacup in Queen's Ware and the Edme shape from the 1940s. I love the elegant, classic lines. 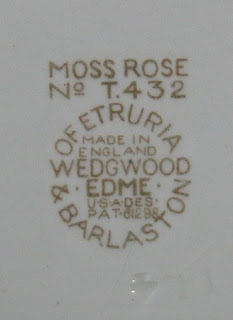 Moss Rose was produced from the early 18th century in various incarnations by hundreds of different potters, and Wedgwood is one of the finest quality examples. 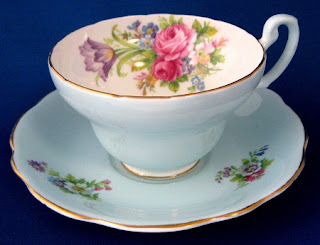 As a Teacup Tuesday relative newbie...I have a question....where do you get the linky things and should I have one as well??? You probably think, duh...but I don't know. Would love comments & instructions! 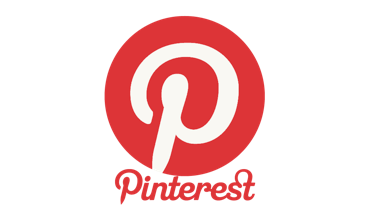 I'm someone pretty non-techie & am blown away by all your blogs and how beautiful they are. Mine's kinda utilitarian, but fun to do! By the way we are running a special at Antiques And Teacups, A Valentine's Day 10% discount coupon...just use code LOVE! May be reused through February. Fighting off a bit of a bug today, so hope a good night's sleep and some vitamin C takes care of it! Have a great time visiting all the teacups and share a cup with a friend! Well...just got back from seeing The King's Speech at a local theater and absolutely loved it! 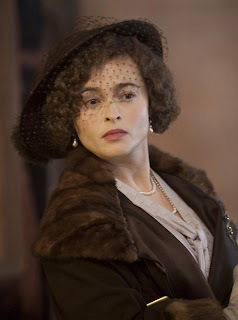 Heard before it started that Tim Cooper, the director had approached the Queen Mum, Elizabeth in the 1970s about filming the story which had appeared in a reader's theater off the West End, but she asked him not to make a movie of it whilst she was alive, as it was such a difficult and painful time for her that she didn't want to revisit extensively. Tim had to wait 28 years until she died at 101 in 2002. The story centers around Albert, younger son of King George V and Queen Mary who is forced into a role he hadn't been raised for because his older brother David abdicates the throne a few months after being crowned King Edward VIII to marry a twice divorced American divorcee and was a Nazi supporter. Albert has a stammer and the story revolves around the work with a speech therapist who becomes a life long friend and is a true story. 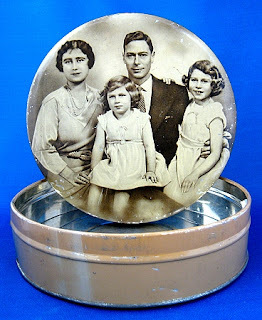 My family and my husband's as well have stories about the royal family at that time, the stammer, abdication and the absolutely brilliant job George VI and his wife Elizabeth did during the war. The general opinion was that England, and possibly the rest of the world would have had a very different fate if Edward VIII had remained king. Another fun thing about the movie was...spot the actor. Such a lot of famous faces in the cast! If you haven't seen the movie, we recommend it. A bit of language that I wish hadn't been there, but it has an R rating because of it. I just overlooked it because of the strength of the story after a cringe or 2. Can The Real Downton Abbey Be Saved? 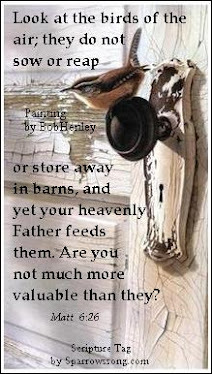 I am posting this on both my blogs...I have loved the Downton Abbey series on PBS and am looking forward to the second. 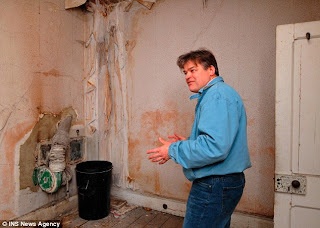 But the UK Daily Mail Online has posted an article about the REAL Downton Abbey...Highclere Castle owned by the Earl of Caenarvon who's family is famous for funding the discovery of King Tutankhamun's tomb. I hadn't made the connection until reading the article which gave me a "Duh!" moment. 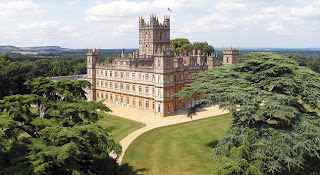 Highclere Castle is crumbling! 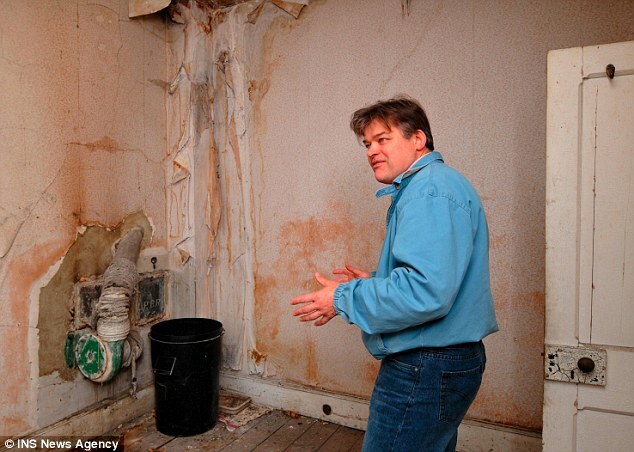 The photos are horrendous....let's hope something can be done! 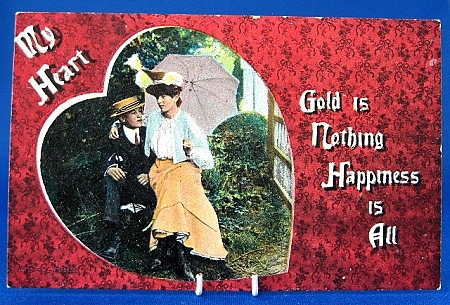 We at Antiques And Teacups hope so! Can Highclere Castle Be Saved? We took a day out and drove to Gig Harbor, WA yesterday. We try to go exploring and antiquing a day each week, and Gig is about 80 miles from home. It was partly cloudy at home and dry, but as we crossed the Hood Canal Bridge the wind and rain started. Yucky! But when we dipped down into Gig it improved. When we were getting ready to move to the coast several years ago from Ashland, Oregon we considered a lot of places. Then we got hold of a Rainshadow map. We found that Sequim was protected from most of the rainfall by the Olympic Mountains and today was an example. When we returned home several hours later, it was repeated and we came out of rain and clouds into part sunshine and dry just after the Hood Canal Bridge. We had a lovely lunch at The Tides Tavern in Gig Harbor...right ON the harbor which is always fun. The fish is always delicious. We had the halibut fish & chips. The place was packed, as usual. 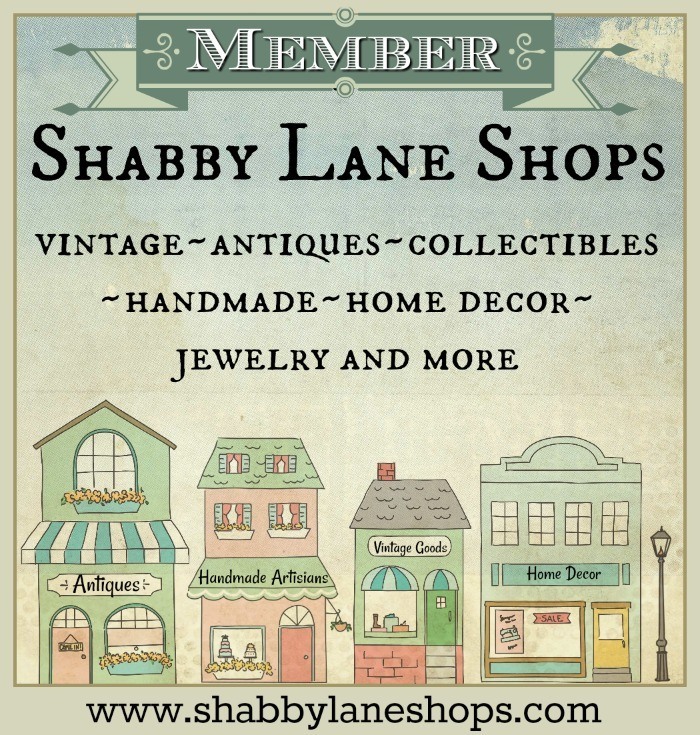 We were told of a new antique shop called Misty Meadows Antiques opened a few months before & visited it. Lovely place, lovely ladies and they started having occasional teas! I signed up for the email list. They had one in Nov & Dec and are planning one for the spring. How fun! I will post when I next hear of one. With Valentine's Day approaching, I wanted to share this cute hearts mug we have at Antiques And Teacups by contemporary English designer Moorland. I just love it! Today, while my honey is watching FA cup games on TV I ma going shopping for the finishing touches for my Teacup Swap gift package that was organized by Faith Hope & Cherry Tea. It is such fun! And a wonderful way to meet new friends! 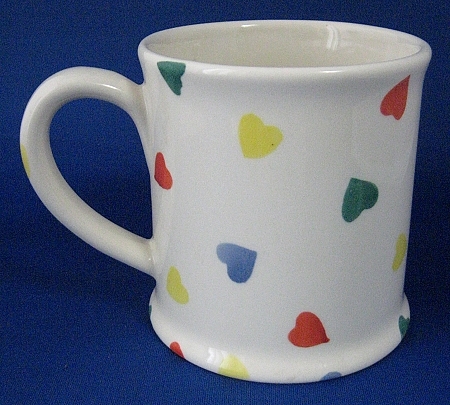 Have a great day, whatever you are doing and have a cup of tea with a friend! 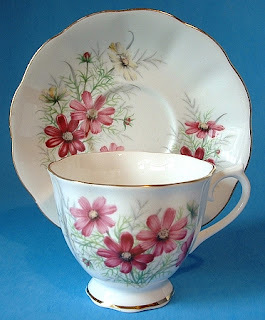 It's Teacup Thursday with Miss Spenser's Speciali-teas and I have chosen a favorite Royal Albert England teacup with a design called Cosmos in the series of 12 called Language Of The Flowers. The Cosmos stands for friendship. Any Victorian lady would know the language of flowers and would scan every bouquet she received for hidden messages, and carefully chosen any flowers she sent to another to convey a message, visible or more subtly conveyed. The rose, depending on color could mean betrayal, gratitude, passion or joy; the daisy meant innocence; the sunflower pure and lofty thoughts; the violet was modesty and the morning glory meant love in vain. How to fun to realize the sentimental Victorians had such fun communicating with the language of flowers and how they must have puzzled over the meanings of any flowers they received! 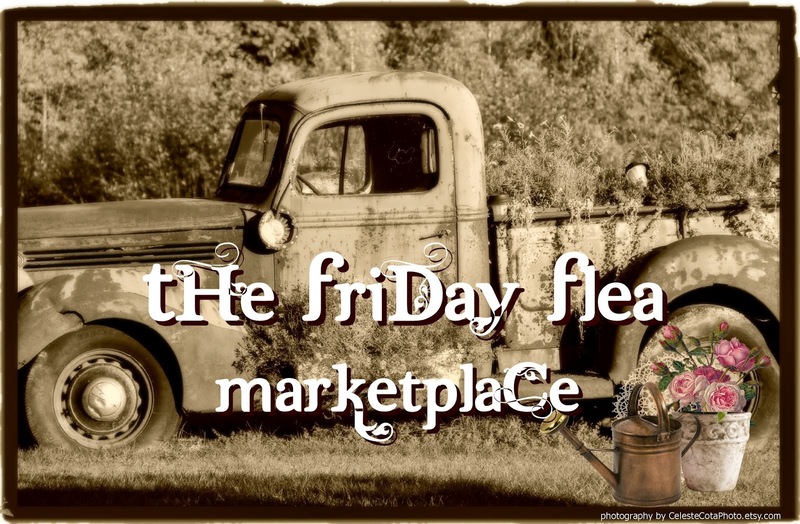 Have a great day visiting all the of the Teacup Thursday offerings and have a cup with a friend! 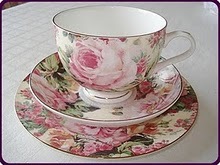 Teacups are a favorite part of my life...to admire and to drink from as well as my livelihood at Antiques And Teacups! 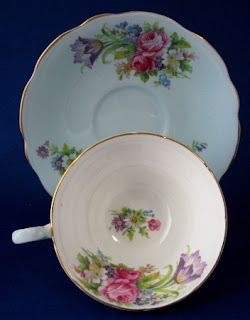 I am sharing this one for Teacup Tuesday with Rose Chintz Cottage and Martha's Favorites and Terri's Teacup Tuesday. Can't get enough teacups! The cup and saucer is in the Berkeley Rose pattern by Royal Stafford, England and oh, so pretty! 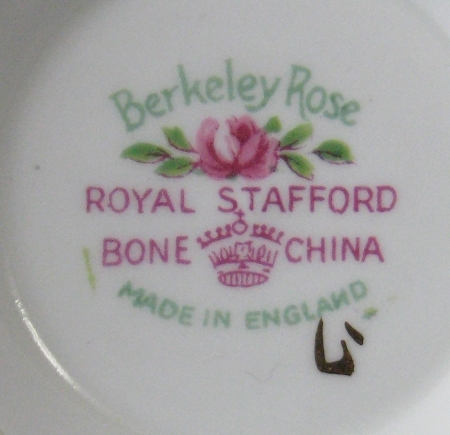 Royal Stafford China, England was a division of Thomas Poole and Gladstone, formerly Thomas Poole and Gladstone China Ltd. The Royal Stafford name dates back to 1912, but this is a later example dating to the early 1950s. 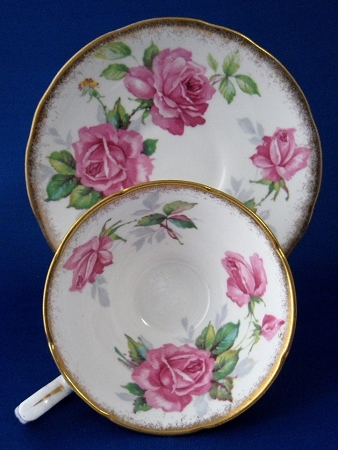 I love the elegant shape, lush roses and sponged gold trim. 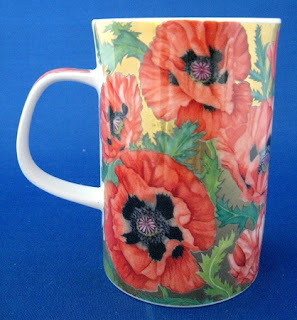 Sigh...don't you just love beautiful china? Have a wonderful day visiting all the other teacup parties. I can't wait to see all the offerings! Cheers! I thought I'd do a follow up post to Downton Abbey's 3rd episode on PBS last night. I had posted the photo of Lady Sybil in a blue dress yesterday...mostly because blue is my favorite color. But what also intrigued me was that I couln't be sure what the skirt was, perhaps a hobble skirt, and because Lady Sybil was displaying an inordinate amount of...shock!...ankle! After seeing the program last night, I now know it was not a hobble skirt...which restricted the walking pace to tiny steps by a band around the ankles....a style of dress called "rational" at the time which was a sign of the loosening of the restrictive stays of society (pun intended) placed upon women. Rational dress began to appear in the 1890s as a result of the industrial revolution which freed women to the work force from the more restrictive society of the home. As women became more educated and began to long for freedom form the retraints placed upon them in the victorian age which included floor length skirts, corsets producing 20 inch waists (accompanied by much fainting) and strict rules of dress and decorum, a "new" woman, a Rational woman began to develop. Rational dress freed women to walk more easily, ride bicycles and usually also meant the abandoning of corsets. A woman in pants was considered fast or worse which would mean death in society. Rational women were also concerned with votes for women and equality among the stratum of the social system. Lady Sybil also flouted convention by showing her ankles with the shorter skirt. Ankles were an errogenous zone almost equal with the bosom, so this was indeed shocking! Although at times I am seduced by the lovelier, more gracious Victorian and Edwardian ages...which, by the way only extended to the moneied classes, not to the bulk of the population which was working class...I am very relieved not to have to live under the severe stricture women lived under. 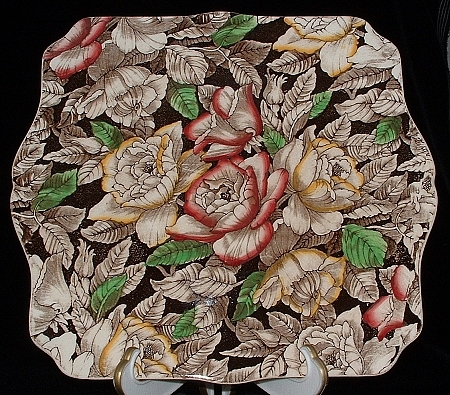 I also want to share a lovely Myott, England Bermuda Chintz lugged cake plate from Antiques And Teacups. I just love the lush, tropical feeling of the pattern, so reminiscent of Bermuda. 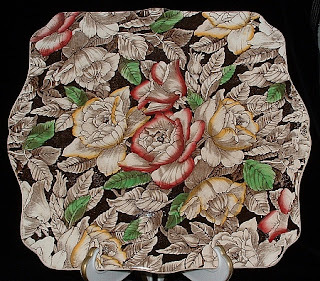 Just beautiful I can see some petit fours on this cake plate at a well set tea table. See you tomorrow for Teacup Tuesday! Have a great day! Sharp frost and thick fog in the early morning. The fog cleared off about 9:30 A.M. and the sun shone brightly. Went for a country walk. Every tree and bush was outlined in silver tracery against the sky; some of the dead grasses and seed-vessels growing by the roadside were especially beautiful, every detail of them sparkling with frost crystals in the sunshine. 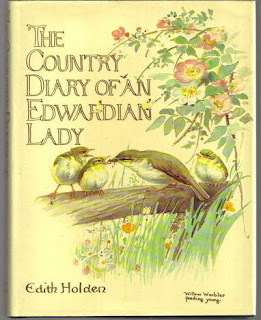 I saw great flocks of rooks and starlings, down on the fields, and a pair of beautiful bullfinches in a hawthorne bush. The gorse was in blossom, till within a week or two ago, but the sharp frosts of the past week have nipped off the bloom. The mild winter has brought out the witch hazel catkins, wonderfully early, the small green flowers are fully expanded on some of the catkins, and the pretty little red stars of the female flowers are appearing. The green leaves are out on the woodbine too making little spots of green among the undergrowth. 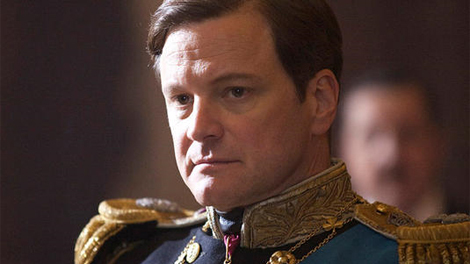 For Downton Abbey fans, episode 3 airs tonight on PBS in the USA. I found 2 blog posts of interest you may find helpful. Why In The World They're Called So Many Things..Wish They's Make Up Their Minds! So enjoy the rest of your weekend...we are about to leave for church. 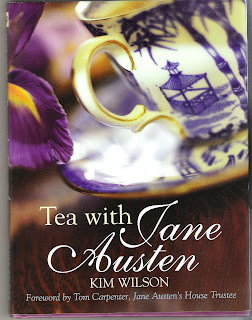 I just got out the book Tea With Jane Austen by Kim Wilson to share a quote and realized that I recognized the teacup on the cover! How fun! The book has all sorts of great information about Jane and tea related quotes taken from her novels. 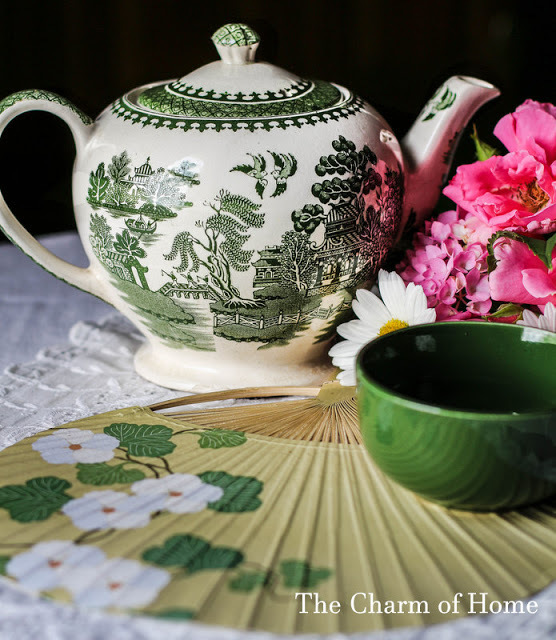 There are also teatime recipes and little snippets of tea lore. All together a fun book. I am sorry to hear that there has been a rise in tea. I do not mean to pay Twining till later in the day, when we may order a fresh supply. 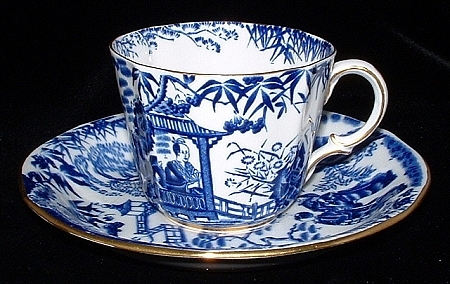 The teacup is by Royal Crown Derby in a pattern called Blue Mikado that has been made since the days of Jane Austen and was quite popular. Twining would be thrilled that his tea was drunk from such a teacup! Have a great weekend. It's cool and damp here ...oh, really? But we have tea and chocolate covered shortbread for tea, so who cares??? Cheers! It's Teacup Thursday with Miss Spenser (I'm a bit early but I'm West Coast & otherwise everyone's been up for hours) so I like to do this last thing at night on Wednesday. 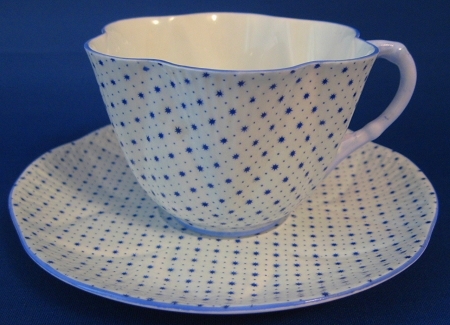 My choice to go with the January blue theme is this Shelley China, England Dainty shape cup and saucer in the Stars and Dots or Stars and Spots pattern made between 1940 and 1966. I love the shape, pattern and the color. But then...it's blue! I am using this photo on the background of my twitter page because I like it so much. I got some Twining's loose Darjeeling to make tea with tomorrow and it would be perfect in this cup with the shortbread scones I have for teatime. 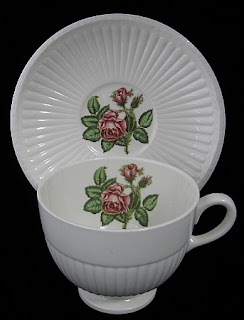 I'm a Shelley China specialist and have been quoted and my info and photographs of Shelley use in antique & collectible guides like Schroeder's...which unfortunately closed this year....hope it's not my fault! I LOVE Shelley! Have a great day and enjoy a cuppa and a friend! 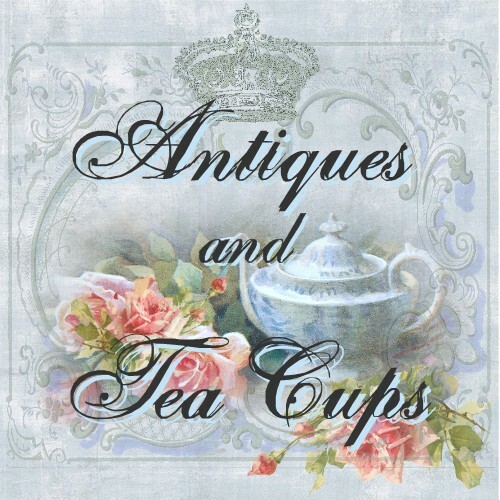 Happy Teacup Tuesday with Martha & Terri...I love to do this! 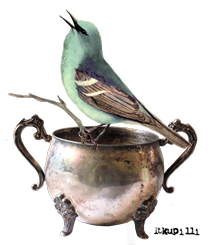 I just got back from a bit of a break with friends, unloaded the car, petted the cat and realized it was Teacup Tuesday although I am a bit late! BUT...better late than never!! 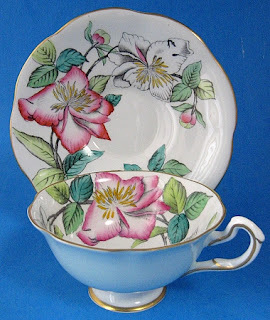 This is a such a pretty light blue exterior cup and saucer with a floral bouquet inside by Foley China, E. Brain of England. The shape is elegant and the design is so pretty! I just love the myriad designs teacups come in. Say floral teacup, and it seems you might know what it will look like but there are thousands of different variations on that theme, and room for more! An interesting thing about this manufacturer is Foley China often is mistakenly thought to be a part of Shelley Chin'a pedigree because they used the name The Foley for awhile. BUT...it's the same as the many names of potters using the generic name Limoges which is actually only a town or region in France. But a Haviland, Limoges is totally different and not related to an Ahrenfeldt, Limoges...they just are made in the same area of France. The same is true for Foley China, E. Brain and The Foley, Wileman Foley or Shelley Foley. 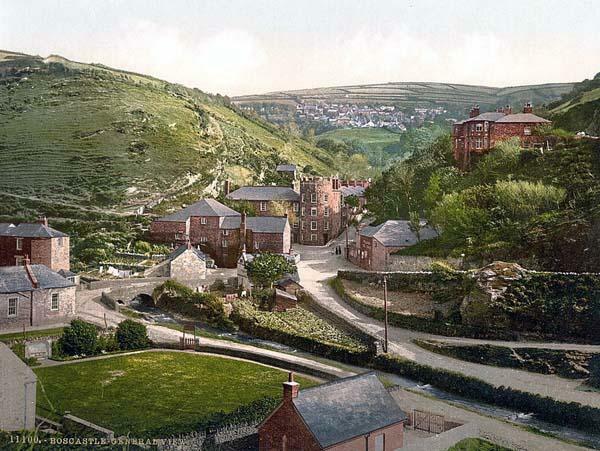 Foley is an area in the Potteries area of Stoke-on-Trent like Barlastan, Trent and others. So...born in the same area of the Potteries, but not related. I certainly hope you've all had a wonderful time while I was gone and I can't wait to check up on everyopne's post that I have missed. Have a great day! I freely admit I love any color as long as it is blue...it's a life long thing. I'm not sure why, but...there it is. 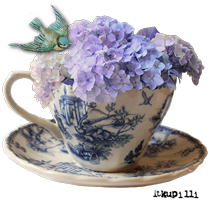 So I noticed Miss Spenser is planning to share blue teacups on her blog during January Teacup Thursdays and I thought...I am there!!! Antiques And Teacups has LOTS of blue because, hey, I'm the Anglo American Picker here! 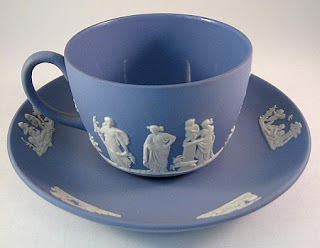 This is a Wedgwood, England cup and saucer in their blue jasperware, which is a form of stoneware discovered in the 18th century, with the white jasperware design called Sacrifice With Lamb. 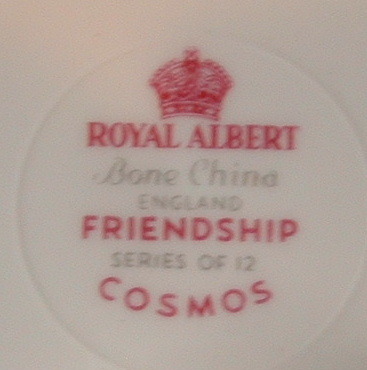 This particular teacup was made in 1959. 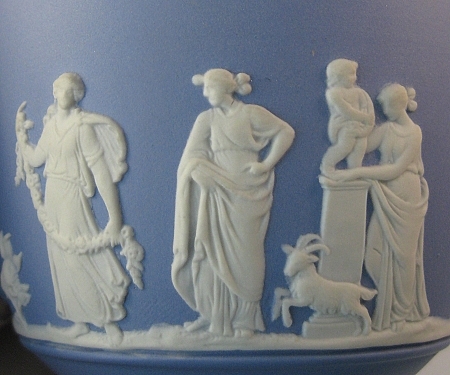 We have visited Wedgwood in England several times during the years. Their old pottery in Stoke-on-Trent had a tour where you could wlk trough the actual production studio and watch the jasperware being made which is actually a very delicate process. The clay is wettish and using a palette knife, the very thin designs in a contracting color of damp clay that has been pressed and trimmed are then carefully positioned and applied by hand. Really skilled artisans at work. I believe they still have...I hope...a demonstration area at the Wedgwood Museum in Barlaston, England because the other pottery has closed. I'll be AWOL for a bit...we are taking a post Christmas week off and I won't always be close to a computer...which is in itself an amazing thing...or at least not always have good reception so there will be gaps in my posts until the 16th. I will be checking in as much as possible, because I hate to miss ANYTHING from any of the wonderful blogs I follow! I will miss next Teacup Tuesday I think....we'll see. So I'll be doing a wonderful catch up blog wallow when I get back to the computer. How fun!!! Have a great day...and a cuppa with a friend! 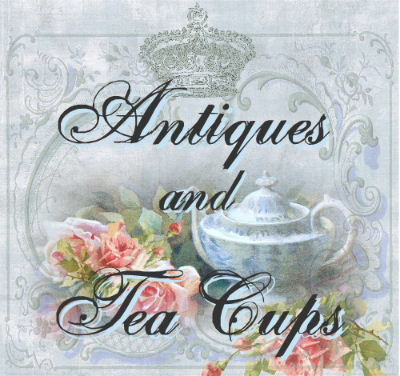 Well it's not an official teacup share day, but as the title of my blog and shop attest, Antiques And Teacups, it's ALWAYS a day for teacups! 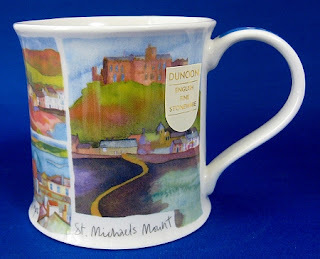 I love this cup and saucer because of the artist signed work which truly makes it a work of art. The teacup is signed A. Bentley, and I have tried to find out more about him or her and can't. 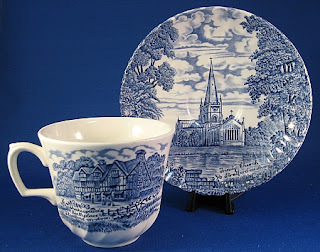 Some potteries had great records kept and you can look up artists, but Rosina or Queens, England doesn't have those sorts of public records available. 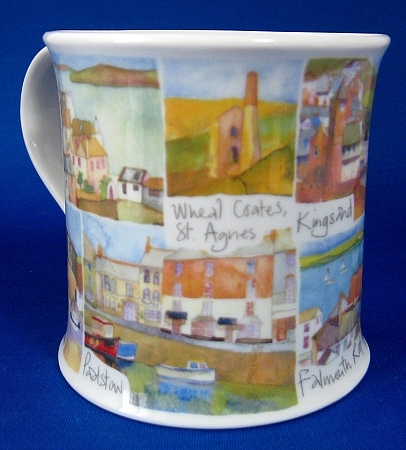 The design by the artist is applied and then the artist has hand painted it in. Lovely! Rosina is one of my favorite makers. The perfect cup and saucer for my Darjeeling which is my current afternoon favorite...Ty Phoo in the morning! For those of you who might be interested (lots, I hope) Faith, Hope and Cherry Tea has organized a Teacup Swap for Valentine's Day. How fun is that! Just visit her blog and let her know you want to participate and she'll set you up. Click the photo, her blog name or I will have this photo with a link on my sidebar. Have a great day! We are having a holiday starting Friday, so I have to get organized!!! Happy Teacup Tuesday!!! And Teapot and Tea Things Tuesday! I have a fun combo today. I actually chose the teacup to go with an absolutely fabulous hand made cozy I just added to Antiques And Teacups that I am in love with! The tea cozy is large and reversible to a yellow gingham. It was made by a local seamstress and she put a cross stitched pattern of a tea party with blue and white china tea set on the front. How cool is that! I love to do cross stitch...and need to start on a new project. 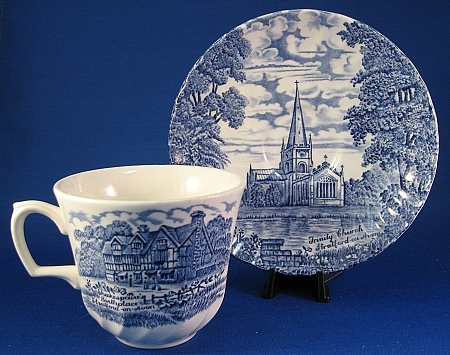 So, I decided to choose a teacup today that goes with the blue and white theme, so I have chosen a simple blue transferware ironstone cup and saucer by Ridgway, England in a pattern called Shakespeare Country from the 1940-1950s. The saucer is Trinity Church in Stratford-on-Avon where Shakespeare is buried and the cup has Shakespeare's birthplace...just down the river bank. A mini English geography/tourism lesson in a cup! Wonderful! One of our favorite places because it's close to my husband's birthplace, and also a place we love to hate because of the humpback bridge traffic bottleneck we have to pass through to get from London to the Midlands if we don't want to take the motorway (which we hate)! Have a great day and enjoy a cup of tea with a friend!